I am all about companies that you can feel good about purchasing from because of their business practices. Pura Vida is one of those companies. You may have heard of Pura Vida bracelets. They are simple, yet darling. But did you know how the company got started? Two San Diego natives teamed up with two local bracelet peddlers during a visit to Costa Rica and created a line that helps to provide 100+ full-time jobs to Costa Rican artisans. 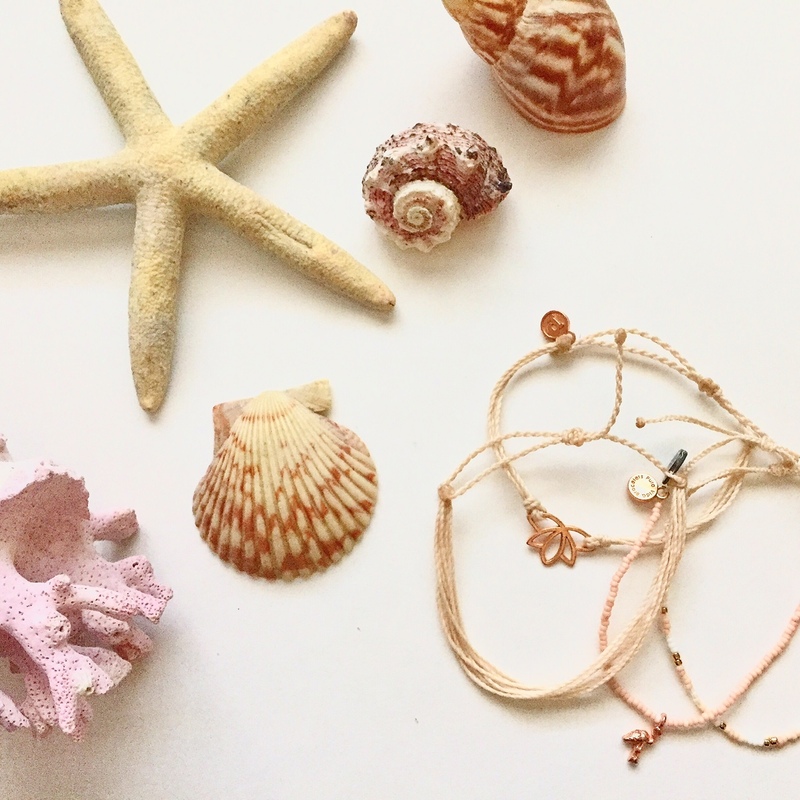 On top of providing work, Pura Vida is huge on philanthropic causes. They have partnered with 190 charities and donated nearly $1 million to date. AND Pura Vida is also a member of 1% for the Planet. As such, they donate 1% of their annual net revenue to environmental organizations worldwide. Amazing! With bracelets starting as low as $5 and supporting a plethora of causes from environmental, to animal and memorial, you're sure to find a bracelet, and cause, near to your heart. 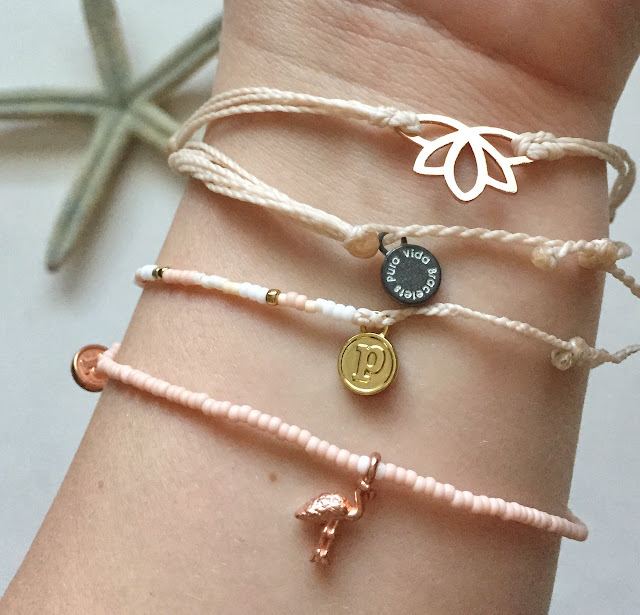 When you view the Pura Vida charity section on the site, you can learn about what your purchase supports. It's all very cool! I like these bracelets because they are understated, yet stylish and send a powerful message. Since they are made of simple string, they can be worn alone or stacked with a watch or other bracelets. And they give off a beachy vibe that makes you want to dip your toes in the water and take in a ]n ocean sunset. The holidays are on the horizon and these bracelets will make the perfect stocking stuffer or gift. In addition to bracelts, Pura Vida has branched out and now sells clothing items, necklaces, and bags. Below are just a few examples of the many must-have products available on the site. Happy shopping! 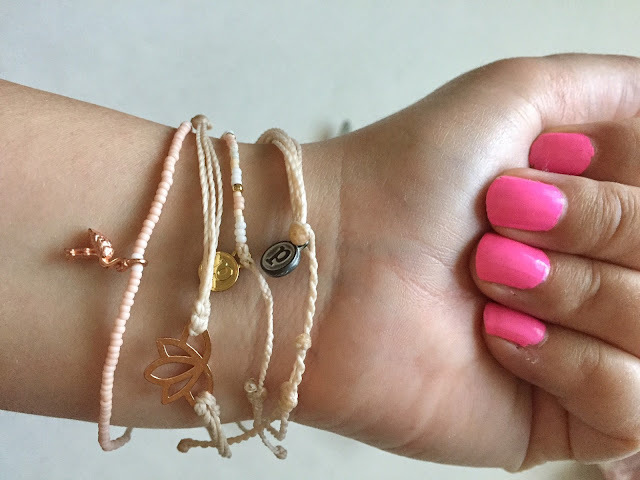 In exchange for a review, I was provided with Pura Vida bracelets. All thoughts are truthful and my own. I have heard of them and own a couple of pieces. Great company! !